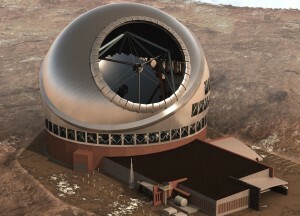 Dr. Warren Skidmore, Thirty Meter Telescope Corp.
Abstract: After a construction status update, I will describe how the telescope design was developed to support a broad range of observing capabilities and how the observatory is being engineered. I’ll discuss some of the observational capabilities that the Thirty Meter Telescope will provide and some of the areas of study that will benefit from the TMT’s capabilities, specifically synergistic areas with new and future proposed astronomical facilities. Finally I will describe the avenues through which astronomers can have some input in the planning of the project and potential NSF partnership, prioritizing the development of 2nd generation instruments and directing the scientific aims for the observatory.